Lawmakers in Columbus held a press conference Wednesday to outline legislation that would halt new state takeovers of public schools. For months, News 5 has been investigating the Ohio Department of Education's takeovers of school districts it deems as "failing." Currently, Lorain and Youngstown districts are under state control, and both districts continue to fail. 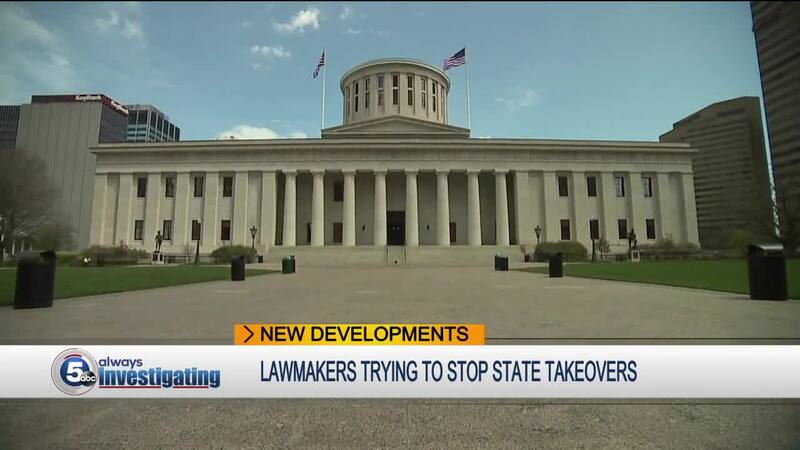 RELATED: Are Ohio school takeovers effective? If we don't know, why are they continuing? News 5 exposed errors in the state's grading system and found the state ordered the state superintendent to study whether their methods are working, while they continue to dismantle districts. Those are just a few of the reasons folks showed up in Columbus Wednesday with growing support for the lawmakers who are trying to press pause on the infiltration of more districts. State Rep. Kent Smith (D), who represents the Euclid area, introduced HB 626 , a bill that would do exactly that. "We should stop existing districts from being taken over because that model doesn't seem to produce better educational outcomes for kids or communities," he said. For background, state takeovers of public school districts and the controversy they spur are all relatively new. House Bill 70 passed overnight in 2015 as an attachment to a bill. It allowed a state takeover of a district with three consecutive report cards that failed to meet state standards. So, what does a takeover entail? An academic distress commission is appointed — selected, for the most part, by the state superintendent. That group hires a CEO to run and control the district, and that CEO answers to them, not the community's elected school board. Despite issues in both state-controlled districts, Youngstown and Lorain, Governor Kasich has publicly announced continued support for this plan, going as far as to say he would veto any plan to halt state takeovers of failing schools. East Cleveland District is up now. Their district is fighting the takeover. Folks that spoke at the statehouse Wednesday are now waiting for a response from Governor-elect Mike DeWine. 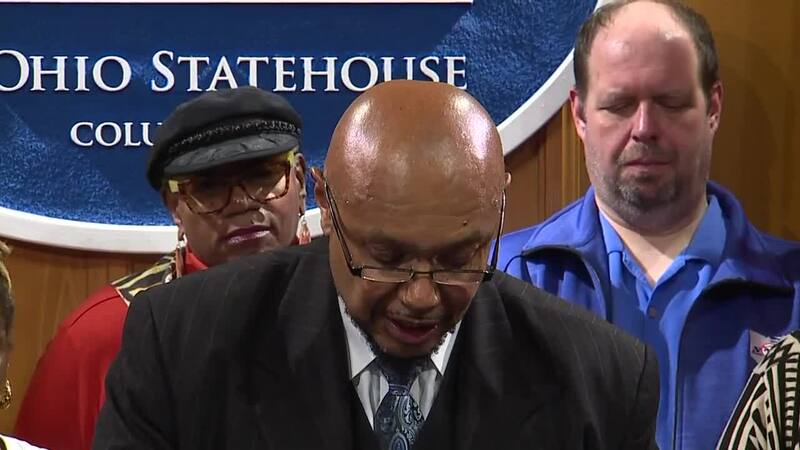 "Ohio State Supreme Court is going to hear a constitutional challenge to House Bill 70, I believe in April, so there's still time for incoming Governor DeWine to make his voice heard on this issue and whether he wants to see it continue," Rep. Smith told News 5. HB 626 has bipartisan support but still hasn't been heard. Rep. Smith told News 5 he will reintroduce the bill in 2019 if it's not given a hearing.